The kingdom of this world has become the kingdom of our Lord and of His Christ; and he shall reign for ever and ever, King of Kings and Lord of Lords. Hallelujah. ~the Messiah. Kids everywhere are settling down, while visions of sugarplums dance in their heads. They have been waiting for weeks and Christmas is finally here. Christmas Eve services, dinners, and gift exchanges are complete. One more night, one more pile of presents, one more holiday brunch, one more family dinner—the end is in sight and the excitement is high. They have been waiting, as have all the people of God. The prophets waited, the Hebrews waited, Mary waited, and as the nights have grown longer we have all waited. And do wait, until the kingdom of this world shall have become the kingdom of our Lord and of His Christ. 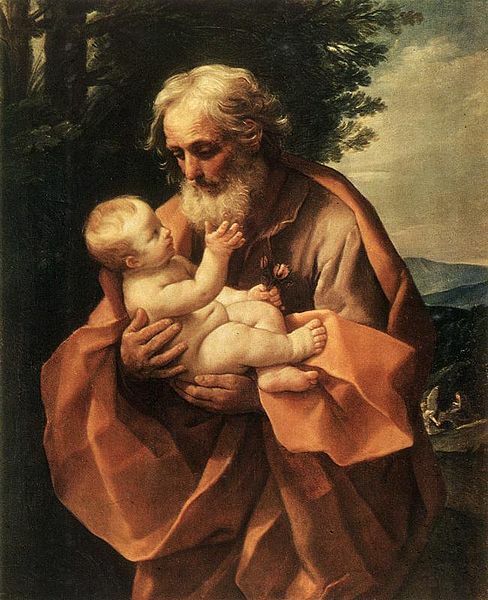 But I’ve been thinking particularly about Joseph. Who waited. And to whom angels spoke. He took a pregnant woman, likely abandoned by her family, and being a just man, we are told, he did not “put her away,” even though Some One Else was the father. We are told he “”knew her not until she had given birth to a son.” That’s King James English talk for a different kind of waiting, because a virgin would conceive and bear a son who would, the angel assured him, save his people from their sins and be called Immanuel, or God with us. He was likely an older man. And she was likely a very young woman. Few men in history have shown such restraint. Or such faith. And so tonight, the waiting is over. Everyone said, and should say, hallelujah! Prophets, shepherds, angels, Wise Men, all of us. And Joseph. Especially Joseph, a good, gracious and godly man who knew how to wait.